While you're working on your in progress email campaign you should plan to send a few test emails to make sure your great looking email design looks fabulous in a variety of email clients. Send test emails to yourself and your team members. Test emails are actual emails you send to your testing email addresses from your in progress email campaign. You can test to your work email addresses and any personal email address accounts you have access to. Testing is not a step to be missed in the campaign sending process! Use test emails to verify that everything is working properly in your email and that your email is looking great across the email clients you send to. The test addresses you see when you click the Send a Test button are pulled from logins you have created for your WordFly account. You can add new email addresses to the test list anytime from your email campaign. Select the Testing tab > Send a Test, then add subscribers. Send to a group or team by using an alias email. Add the alias email to the test list. You can remove addresses for the list by selecting the blue x to the right of the email address. All addresses are populated to a list called the Default Test List which you can find by looking up any addresses on the test list using Subscriber > Subscriber Search. Test emails can be sent in 3 formats for testing each format: Multi-Part MIME, HTML and Text. When all 3 options are selected you will receive 3 test emails, one for each version. You can include the word TEST and time-stamp information in the subject line of the test email. List data field personalization is not included in test emails because the list is not using the same data as the list assigned to your campaign. Learn more about testing personalization in this post. Subscriber data field personalization can be included in test emails if the email address you are testing has those subscriber data fields saved on their WordFly subscriber profile. For example, if First Name has been imported for the email address being tested then First Name will appear in the test email. 2. Select your In Progress email campaign. 3. 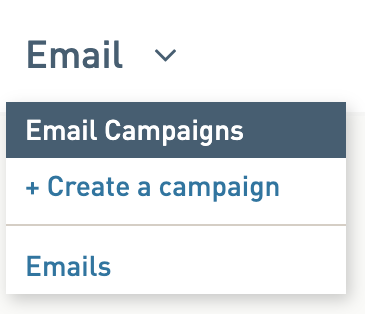 Select the Testing tab in your email campaign. 5. Select yourself and any other recipients in the new window. To add a new address, enter it in the input box, then click Add. You can only add one address at a time. Select the email formats you’d like to send. Sending "formats" is the specific type of email that is sent out. Test emails can be deployed as Text, HTML, and Multipart-MIME format. Optional: Select if you’d like to add the word TEST or a time stamp to the end of your subject line. Check your Inbox for your test email. Your test email is a full featured copy of your email template. It's important to have a testing checklist before you start testing. We've put together a list of the essential elements of your email to pay attention to when you are testing. Take a moment to read through our suggestions here and review the checklist on our blog. Make sure you have enough email clients represented in your test list. For example, you might want to set up general address with all the major ISP's (Yahoo, Gmail, Hotmail). Send your test emails to these accounts and check out how your email renders in those email browsers. Or use WordFly's Inbox Preview to test your email across over 30+ email clients right in the testing tab of the email campaign. Is any part of your email rendering oddly? Pay attention to your email client stats to know where you should be focusing your attention. Check out Subscribers > Insights for an overview of email clients. The majority of rendering issues come up in Outlook on PC but typically most of your subscribers will be using a web-based email client or opening on a mobile device. If you are running into an Outlook issue, check out our support post on Outlook rendering. Click on your linked images and test links, are these links redirecting to the correct landing pages? It's so important to test every link in the email. It's usually the one link that isn't tested that ends up breaking when the email sends. Click on everything to be sure all the links are working properly. Also be sure to check out the Full Review section of the testing tab for any issues. Does a stakeholder need to review the email as well? Review our suggestions for testing with stakeholders. Are test emails not arriving in your inbox? Learn more about that here.